My parents were born and raised in Portsmouth, England and immigrated to Canada in the late 1940s. My dad was in the fleet air division of the navy and after the war, he became a carpenter. Two of my mom’s aunts ran public houses on the other side of the brick wall from the dockyards where the HMS Victory was located, and still lies to this day. They arrived in Canada with little more than an adventuresome spirit and a strong work ethic and built a wonderful life for themselves and their children. Our family history with sailing and the sea made an indelible impression on me and, as it turned out, shaped the course of my life. My childhood home in Victoria was characteristically English – a small acreage at the end of a long driveway with high laurel hedges on both sides. I was ten and my brother Mark was seven when we moved there. It was a boy’s paradise. Beyond the hedge was the orchard, a half-acre kitchen garden, and a greenhouse filled with my dad’s chrysanthemums. The property sloped towards the ocean, so no matter where I was or what I was working on, I could always see the sea. The house faced south-east and the view from our kitchen window was across Haro Strait to the American San Juan Islands with the ever present glacier-capped Mount Baker in the distance. It was the perfect place to indulge my wildest dreams. On the walls of our house hung two framed pictures of small boats in rough seas. 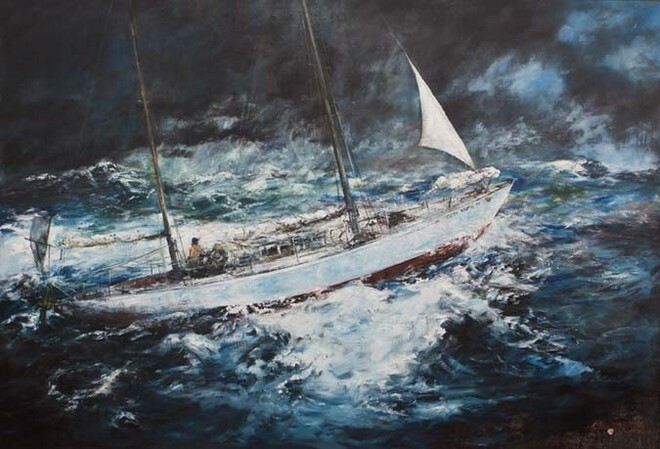 One was of Sir Francis Chichester’s Gipsy Moth rounding Cape Horn under storm conditions, the other was of Sir Alec Rose aboard Lively Lady under shortened sail in the Roaring Forties. In a small bookcase were a few well worn books which my father read to me many times over the years. Books by Chichester, Sir Alec Rose, Miles Smeeton and John Guzzwell. I was completely captivated by those stories and have since read many more like them about brave men who set out in small boats with big dreams. Sailing has been a large part of my life for as long as I can remember. I loved everything about boats and being on the ocean. I started out as crew on local race boats at the Royal Victoria Yacht Club and bought my first keel boat in 1978 at the age of 28. It was a familiar and comfortable environment and one where everything came naturally to me. When I skippered my own boats, I brought friends along to crew during Swiftsure and West Coast races. Eventually I went further offshore, doing my first solo passage in 1997 from Victoria to The Marquesas in 42 days aboard our 26′ Haida Sannu II and was later joined by my wife MaryLou and our two daughters Claire and Nicola. Here’s a short summary of my sailing experience – as a crew member, skipper and single handed offshore sailor. Skippered Sannu Sannu in 6 Swiftsure Lightship Classic International Yacht Races – a 160 mile race in the Straits of Juan de Fuca and the Pacific Ocean. Won Division E –1984. 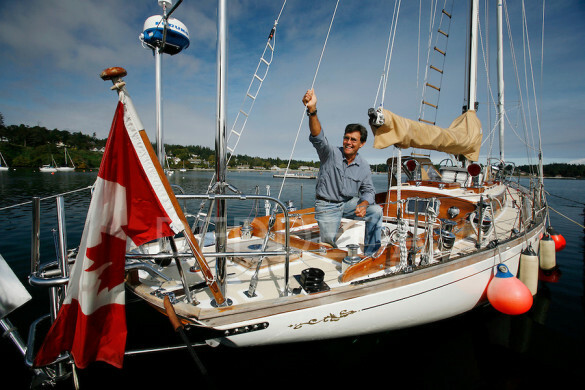 1980s – Sailed Sannu Sannu in 3 Royal Naval Sailing Association sanctioned West Coast Races – a 675 mile race from Victoria, BC to Triangle Island – 30 miles off the northwest coast of Vancouver Island and returning to Victoria. Placed 3rd in the double-handed category with my wife Marylou in 1983. 1986 – Qualified for the double-handed Observer/Europe 1 Trans Atlantic Race (OSTAR) organized by the Royal Western Yacht Club of England. 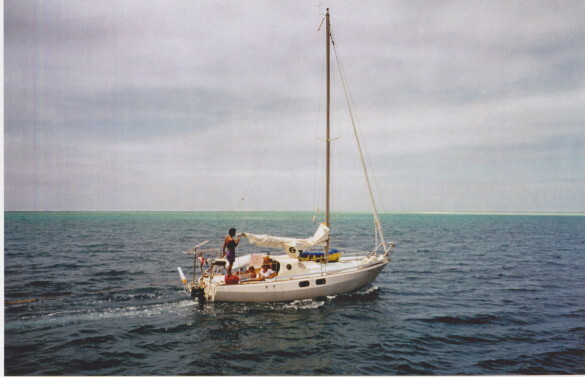 1997 – Sailed 26’ Haida Sannu II single-handed from Victoria, BC to the Marquesas Islands – 5000 nautical miles in 42 days (May 11 – June 21) Sailed across the South Pacific with my wife Marylou and daughters Claire and Nicola to French Polynesia, Cook Islands, Niue and Tonga. 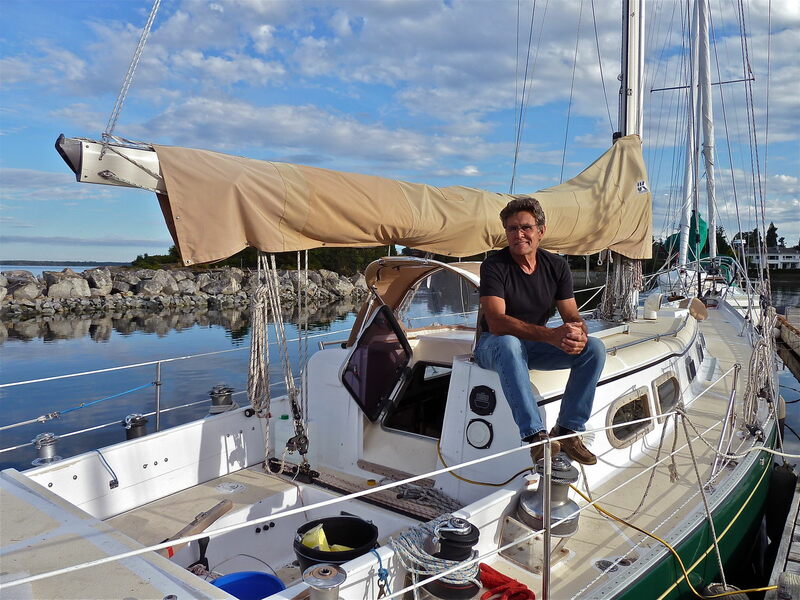 Single handed the 18-day leg from Tonga to New Zealand through Cyclone Luci. First attempt at a solo, non-stop west about circumnavigation from Victoria, B.C.September 23, 2007 – April 24, 2008. 1970 – Crewed aboard 100’ ketch Blue Leopard in the Mediterranean Sea. 1973 – 1980 – Numerous RVYC races and long distance races aboard Sannu Sannu in and around the Pacific Northwest. 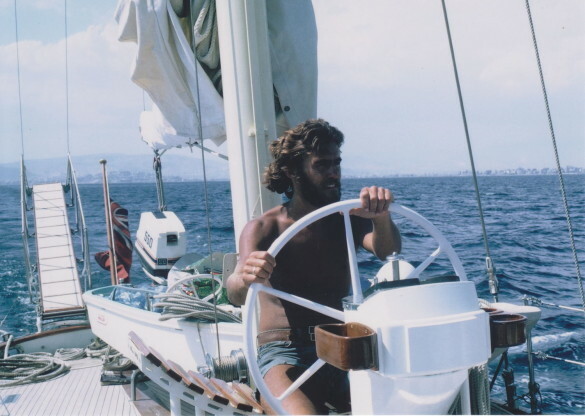 1975 – Crewed aboard 50’ ketch Pandora from Victoria, BC to Maui. 2000 – Crewed aboard 52’ Alden Escapade from Newport, Rhode Island to Bermuda. Amazing, and tremendously inspiring. Can’t wait to meet you and your family. My wife, who isn’t a sailor and I live above Gerrans Bay in Pender Harbour from where I sail and kayak as much as possible. If you get over this way, please call us, the barbecue is ready to go. Our # is 604-883-3659. Thanks John. We may be up your way this summer en route to Desolation Sound on our ‘anniversary cruise’.